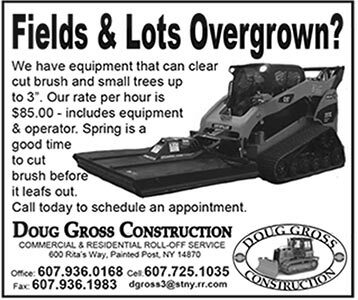 We specialize in all aspects of site work including; Land clearing, complete bull dozer service, pond installation, excavation of foundation and basements, installation of all septic systems installation of municipal sewer lines, and so much more. We have been in the waste removal business or over 20 years. We have the capability to service any need, whether it is a single hopper or 5 or 10. We have a large inventory of hoppers available 20yd,30yd & 40yrd rolloff cans. We are your local CAT Rental Alliance Store. We also do heavy duty hauling, with our Lowboys and Landoll Trailers. We are permitted State Wide to haul equipment up to 12 foot wide and up to 107,000 lbs. We can Haul Heavier, but would require an additional permit.